Located off Main Street opposite the Culver Arts Center, Lbistro offers delicious morning and lunch faire from Chef Laurent Baillon. Lbistro opened in November 2014 and is located opposite the Culver Arts Center on Main St. Since then, Chef Baillon and Front of House Hostess Gabriella Rodriguez have been serving both quality interpretations of classic dishes of French Cuisine and delightful pastries and confections. A simple, uncluttered & comfortable dining room and outdoor seating make a wonderful spot to enjoy a classic breakfast or break for lunch. Lbistro has also been doing major event catering for years, and soon large lunch drop off packages will be available. 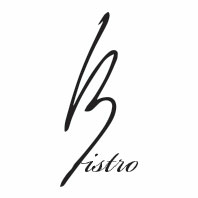 Lbistro has been providing premium catering services for events large and small for years. With many high profile clients and exhilarating ideas in food, Lbistro is a fantastic choice to work with you on your next special event. Give us a call for a friendly quote, obligation free: (951) 742-5405.